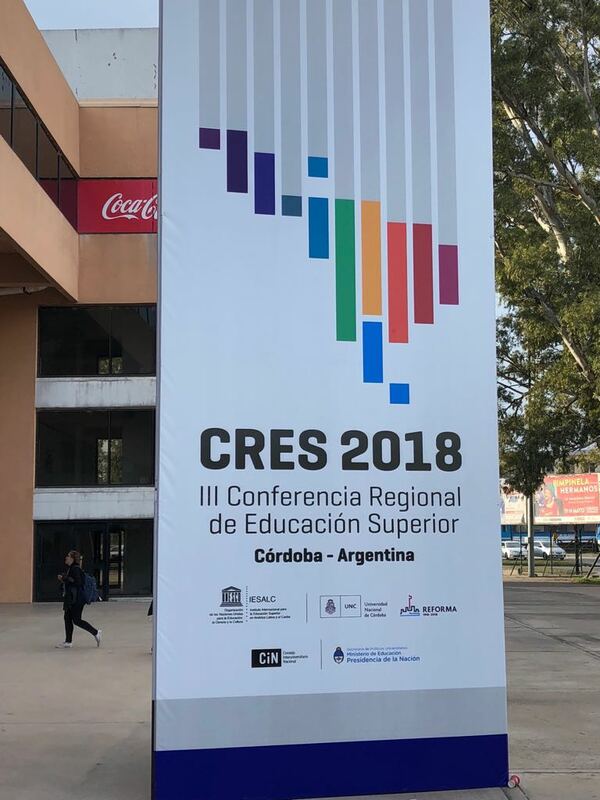 GUNi participated yesterday at the the 3rd Regional Conference on Higher Education in Latin America and the Caribbean (CRES 2018), hosted at the National University of Córdoba (UNC), Argentina. 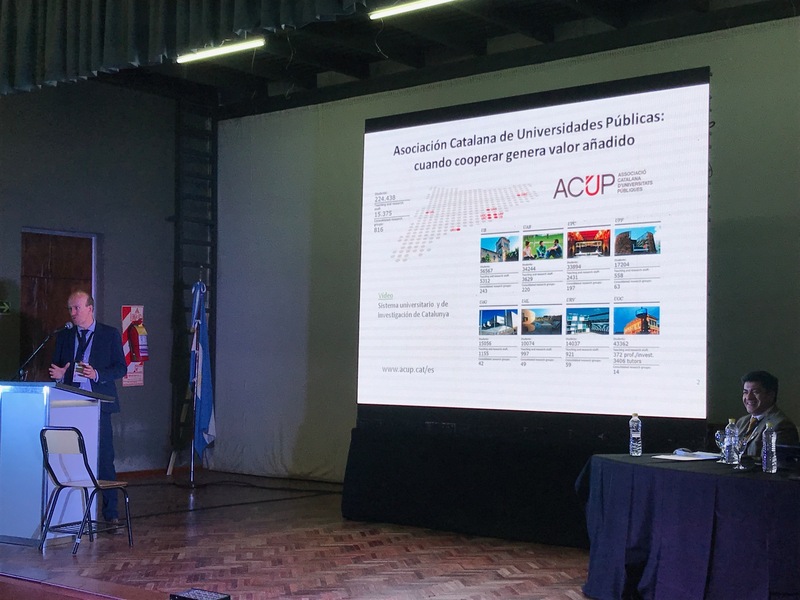 Josep M. Vilalta, Director of GUNi and Executive Secretary of ACUP, emphasized GUNi's commitment to strengthen the role of higher education in society and explained the work of GUNi and ACUP both locally and globally and shared some recommendations with the attendees in the framework of the Declaración de Córdoba CRES 2018. 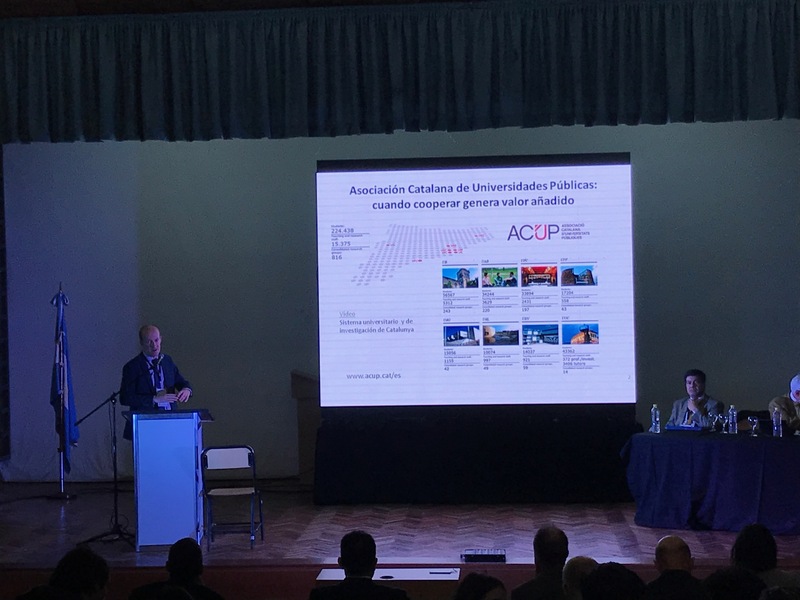 Within the framework of the 3rd Regional Conference on Higher Education in Latin America and the Caribbean (CRES 2018), GUNi participated yesterday by the hand of Josep M. Vilalta, Director of GUNi and Executive Secretary of ACUP. The Conference is the most important regional event on higher education and brings together all actors (rectors, academics, students, networks, associations, research centers, trade unions, government representatives, NGOs...) to discuss and formulate proposals and lines of action to consolidate higher education as a social good and a universal right with responsibility of the States (www.cres2018.org/cres-2018/presentacion). The Coordinator of the session was Ernesto Villanueva (Rector of the National Arturo Jauretche University, Argentina) and Josep M. Vilalta participated in the discussion table together with Oscar Garrido Álvarez (Rector of the University of Los Lagos, Chile and President of the Inter-American University Organization, OUI, Canada), Carlos Quenan (IHEAL, Université de la Sorbonne Nouvelle, Paris III, France), and Sidney Roberto Kempa (Vice-Rector of the State University of Paraná, Brazil). During his presentation, Vilalta explained the work being undergone by ACUP (locally) and GUNi (internationally) in the fields of the 2030 Agenda for Sustainable Development, Responsible Research and Innovation (RRI) and Synergies between Science, Technology and Humanities. In his presentation, he stated that "GUNi develops projects and promotes initiatives such as International Conferences, seminars and workshops on topics of interest, and conducts reports and studies on specific topics and performs a significant role in disseminating practical knowledge in university policy and management". Particularly noteworthy at present is the 7th Edition of the Higher Education in the World Report and the International Conference "Humanities and Higher Education: Generating Synergies between Science, Technology and Humanities" to be held in Barcelona on November 19-20, 2018. Particularly important for the topic of the discussion table was the work GUNi carries out together with other actors around the globe and specifically the work of the Regional Offices, most notably in this case the work of the GUNi Regional Office in Latin America and the Caribbean, whose President is Dr Axel Didriksson and whose Secretary is Dr Denise Leite. CRES 2018 is being held within the framework of the first centenary of the University Reform of the 18th. The Conference is being held from June 11 to June 15, 2018 at the National University of Córdoba (UNC) and it represents the commitment and the urgent decision by the higher education community of the region to build a better future for the countries of Latin America and the Caribbean. The Conference has been organized by the UNESCO International Institute for Higher Education in Latin America and the Caribbean (IESALC), the Secretariat of University Policies (SPU) of the Ministry of Education of Argentina, the National Interuniversity Council (CIN), and the National University of Córdoba (UNC). 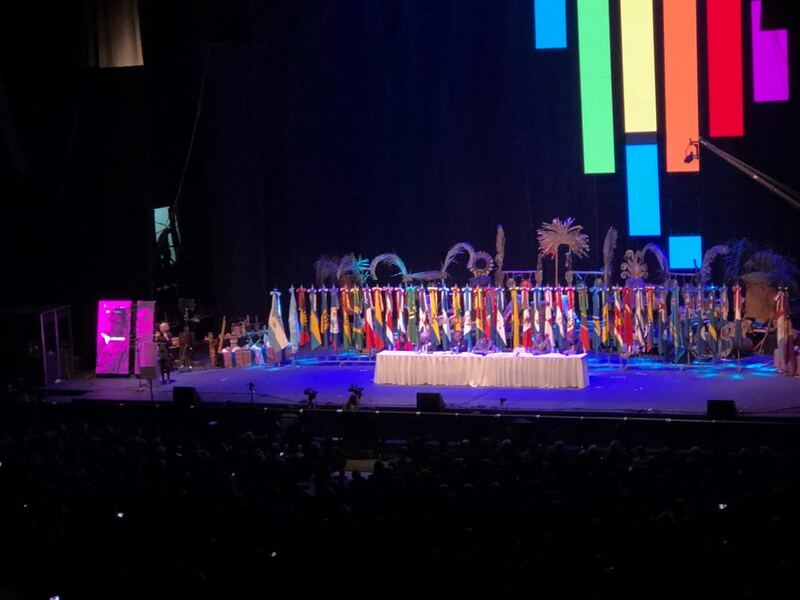 The final goal of the Conference is to coordinate the Declaration and Plan of Action on Higher Education in Latin America and the Caribbean with a perspective of sustainable human development and a commitment to more just and egalitarian societies, ratifying the responsibility of States to guarantee Higher Education as a public good and a human and social right.